Don't know what DMM iD is? Or, not quite sure how it works? Maybe, you just want to see it in the flesh and give it a try. Whatever your scenario, if you work in the rope access industry, you'll want to know about DMM iD. In a nutshell, DMM iD is a PPE safety management system that uses RFiD technology to simplify and speed-up your gear inspection process. It'll also reduce the chances of human error. It'll also increase the lifespan of your gear, because you won't need to retire equipment simply because the serial number has worn off. To use DMM iD, you don't need to own DMM products. This system works with all brands of gear, thanks to the DMM's RFiD tags, which each have a unique serial number and can be retrofitted to your gear and scanned with a DMM iD Reader. At our Demo Night, Bogong's industrial access manager 'HP' explains how DMM iD works; plus, its advantages and disadvantages. What's more, you'll get the chance to demo the system yourself. 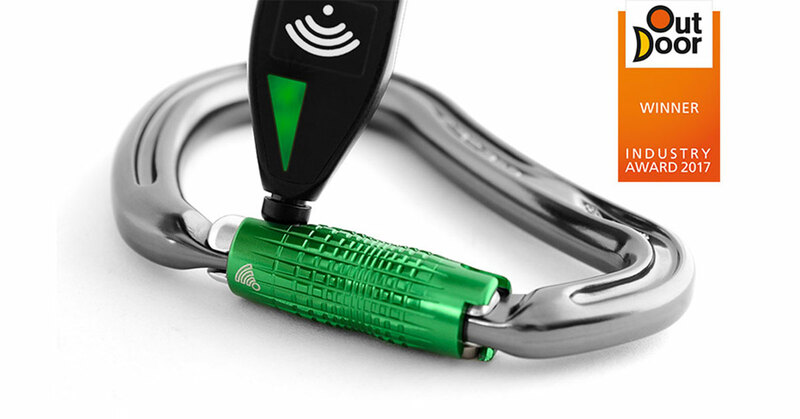 During the night, we'll also give each attendee three DMM iD tags – FREE – for attaching to your own personal gear. Bring your three items of gear in – we recommend a helmet, harness and a piece of hardware (such as a descender). Join us on Tuesday 6 March at 6pm, upstairs at Bogong Equipment. See Bogong's full 2018 info session program here. DMM iD: WHAT IS IT?